I really enjoyed writing the article I uploaded on High Peaks Pure Earth earlier today using food as a lens through which to examine Tibetan identity. Many people helped me with ideas, suggestions and information, I’d like to thank them for putting up with my hundreds of questions about black beans!! The article is our official contribution to a whole week of writings about food called “Food for Thinkers” hosted by Nicola Twilley of Edible Geography fame at her new gig as the food editor of GOOD (congratulations by the way!). There was no better way to celebrate finishing the article than to indulge in a piece of freshly baked walnut cake. 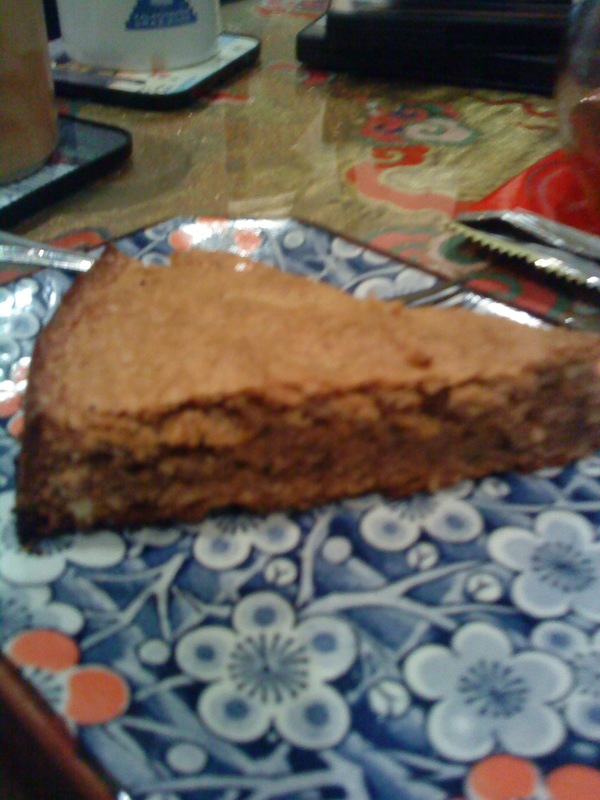 Fittingly, the walnut cake was baked also using tsampa, yummy! On Thursday evening I will be taking part in a panel discussion on the above topic at London’s Frontline Club. 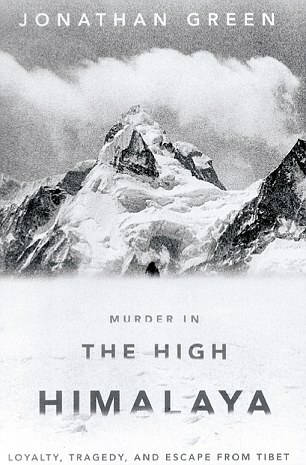 Award-winning journalist and author of “Murder in the High Himalaya”, Jonathan Green, will screen eyewitness footage on the killing of a young Tibetan nun by Chinese border guards (the first visual documentation of China’s treatment of Tibetans in its border areas) and discuss the issue of bearing witness to human rights abuses in China, and reporting on Tibet. Jonathan will also be joined by Jonathan Mirsky, journalist and renowned China expert; Thubten Samdup; The Dalai Lama’s Representative for Northern Europe and the discussion will be chaired by Kate Saunders, Communications Director, International Campaign for Tibet. This event is being organised by Tibet Society and Students for a Free Tibet UK, thanks in advance for all their hard work. Hope to see some of you there, should be interesting! Does The Road to Heaven Sound Like This? 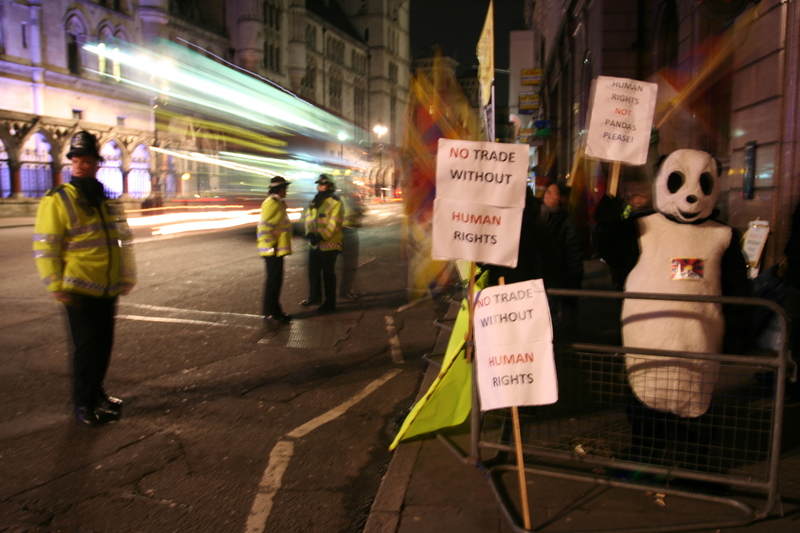 On a typically cold, grey January evening in central London, Tibetans and supporters gathered opposite the Royal Courts of Justice to protest against the Chinese Vice-Premier Li Keqiang’s visit. As usual, Chinese “welcomers” were given pole position with their drums, megaphones and flags. There wasn’t much unusual about this protest really but one thing I noticed was that the Chinese party seemed to take great pleasure out of blasting Chinese pop songs about Tibet at us! Maybe I just hadn’t really noticed if they had done it before in the past but when the tune started to ring a bell I realised they were playing the official song that commemorated the opening of the railway to Tibet in 2006. The song was called “Tian Lu” and it was sung by Han Hong, I’ve seen Tian Lu translated in different ways, I guess it could be Sky Road or Heavenly Road. I remember seeing the song performed at official functions in Beijing. My main abiding memory of it though is that one of the security officials involved in my deportation operation had the song as his ringtone!! 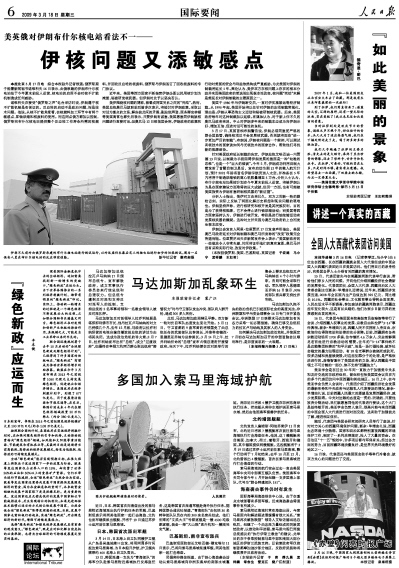 A story that I enjoy telling to friends is how I had an article published in China in March 2009 in none other than People’s Daily! Generally the reaction is of total disbelief and looking back now, I can’t quite believe it myself but it really happened and here is the proof!